I have also secured a role at the National Theatre which I was extremely shocked about – it’s my dream place to work so I can’t believe how lucky I’ve been to get this job so soon after graduating! 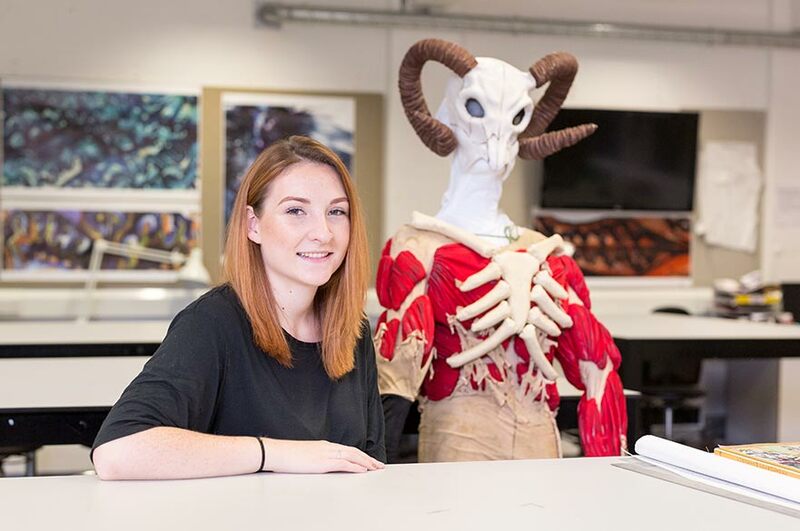 Aimee graduated from our BA (Hons) Costume Design and Making course in 2016 and has already secured some exciting roles at both the Nottingham Playhouse and Royal National Theatre. “I chose to study at NTU because of the option to design and make as I wasn’t sure which specialism I wanted to pursue in my future career. I most enjoyed the variety of the topics - some of these you wouldn’t initially assume were linked to costume, such as wig and puppet making tutorials. “In terms of securing opportunities after graduating, I feel that studying Costume Design and Making has given me confidence in my skills and a network of contacts necessary for starting off in this industry. “Since graduating, I have been working at the Nottingham Playhouse as a Dresser/Wardrobe Assistant. I have also secured a role at the Royal National Theatre which I was extremely shocked about – it’s my dream place to work so I can’t believe how lucky I’ve been to get this job so soon after graduating! “The most valuable lesson I learnt at NTU was how to manage my time well when working on multiple projects. This skill is something I’ve found most useful working in industry.